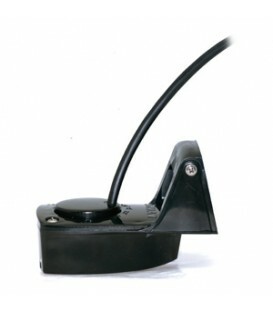 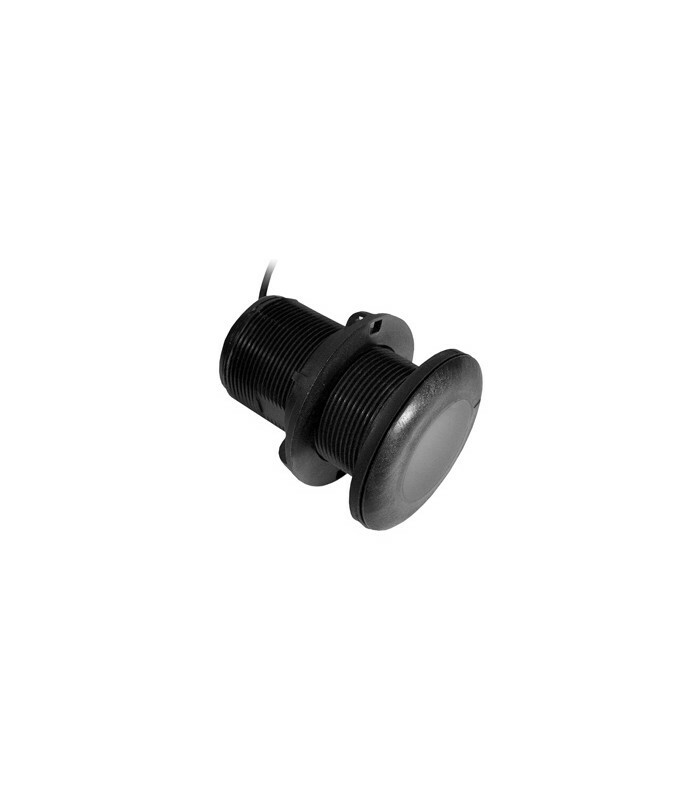 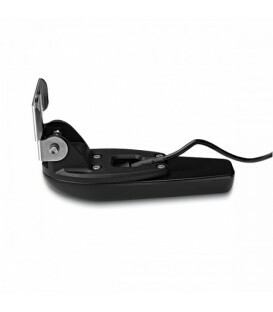 Our plastic thru-hull mount transducer performs well at high speeds and is an excellent choice for fiberglass and metal hulls. 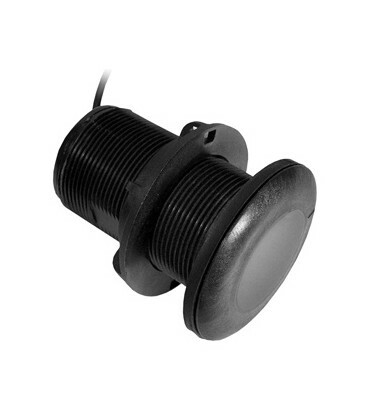 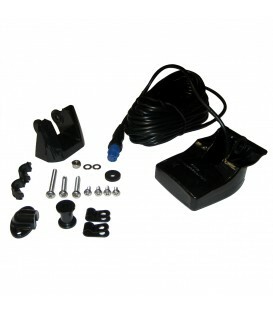 This 8-pin 500 W transducer has a depth of 900 ft; an operating frequency of 77/200 kHz; a beamwidth of 45/15 degrees; and a 8 to 15 degree deadrise. 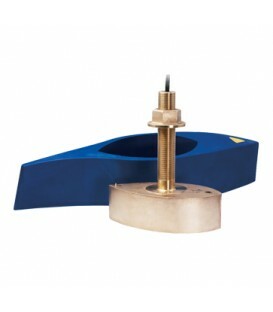 *Do not use on wood hulls. 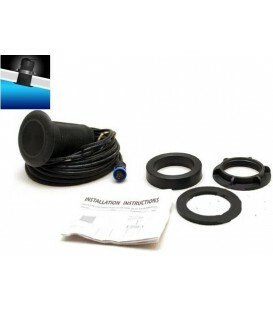 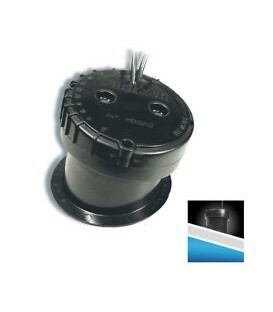 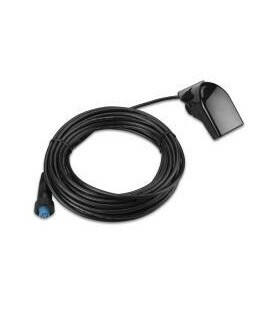 When using with the echo™ series, transducer adapter cable, 010-11947-00, is required.